In 1952 Wilhelmus Ruifrok was born in Den Hague, the Netherlands. In 1963 he began taking lessons in oil paintings with Nick Stein. Two years later Wilhelmus became a New Zealand citizen. In 1971, he received a Diploma of Graphic Design from the Christchurch Polytechnic. In 1972 Wilhelmus studied at the School of Fine Art at the University of Canterbury, achieving high marks but leaving the following year to paint full time. Shortly after he began exhibiting several of his tutors at the University purchased his paintings. In 1974 Wilhelmus won the prestigious Royal Overseas League Award for painting, the judge for which was Art History Professor John Simpson. The winning painting was then exhibited in London the following year. Wilhelmus travelled to Europe in 1978 where he exhibited a painting in the Netherlands Royal Academy show, located in Roermond. He studied Rembrandt, Mondrian and other accomplished artists’ work in galleries throughout Holland. He continued painting and exhibiting and was briefly involved in puppetry and theatre on his return to New Zealand. Notably in 1989 Wilhelmus was awarded a Queen Elizabeth 2nd direct support grant. This work was then exhibited at the McDougall Art Annex, Christchurch in 1991. Then in 2003, his painting ‘Life Spiral’ was purchased by the Te Papa Museum, Wellington. In 2006, the Real Art Roadshow purchased and toured two of Wilhelmus’ paintings. His first sculpture, ‘Stele’, was unveiled in Temuka in 2008. A year later, the painting ‘Iconoclast’ won first prize in the Peters Doig Marlborough Art Society awards. The painting was then purchased by Peter Yealands of Yealands’ Wine, Marlborough. 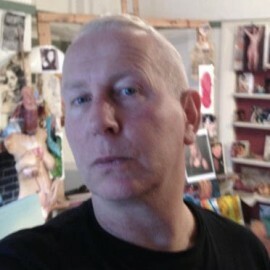 In 2009, Wilhelmus also began up-skilling in computer literacy and the digital manipulation of images. The following attained a computer-based Diploma of Graphic Design at Natcoll Design Technology. Wilhelmus’ current project is a series of paintings, titled ‘The Colour Codes’ colourful works on aluminium.